Going to the gym, eating more veggies, writing in a journal, watching less TV, staying in touch with long distance friends, reading more – as we approach the end of the year and look back, what is it that you have been struggling with? Which promise to yourself have you not kept as well as you wish you had? Which goals for 2017 have you not achieved? 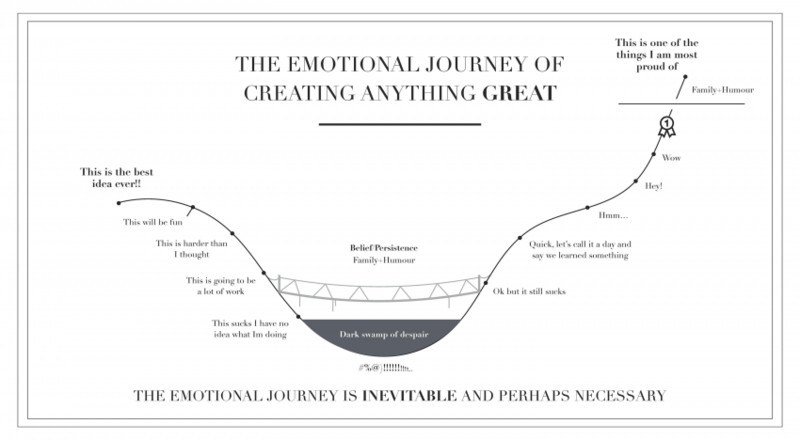 Personally, I have been struggling with the motivation to develop this blog. You see those posts I did through June and the complete absence of anything new since then? During the summer, this blog was something which I put off. I didn’t prioritize it; I didn’t devote any time towards it. In fact, I resented it for not already being successful on its own. My husband, who has created multiple successful start-ups, told me that new business ventures are like babies-very needy and time consuming. They require constant care and nurturing for years before they finally give anything back. With start-ups, there usually isn’t a clearly laid out path, a checklist to follow, a guideline or template for success. For me, that is exhausting and stressful and scary. I want to know that if I follow a prescribed list of steps, I will be guaranteed certain results. The ambiguity and potential for failure is daunting. Yesterday I went out searching for something happy and fun and creative to share with you—something that will make you smile and feel a little bit magical. Thank you Cassey Ho of Blogilates for sharing an amazing little thing she likes to call “Unicorn Toast.” See? Even the name is fun and magical! 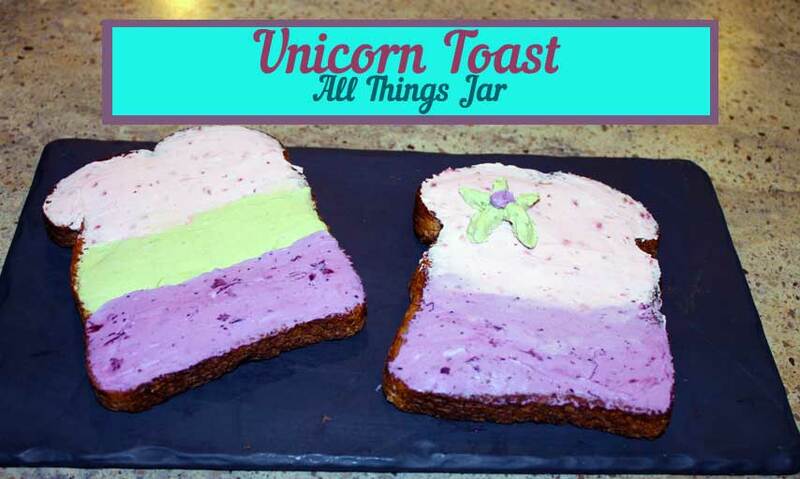 What, you may ask, is “unicorn toast” and why do you want to make it? Look! Look at this amazingness! I made my own unicorn toast yesterday and it put the biggest smile on my face! It was like eating pretty, pastel clouds imported from a magical world where unicorns roam free. Ready to make some for yourself, your kids, and anyone else you want to share the joy with? Natural coloring ingredients – I used raspberries for pink, blueberries for purple, and matcha tea powder for green. That fourth jar has blackberries which I was attempting to use to create a turquoise color, but sadly it did not work out. Anyone have any ideas for a natural way to make turquoise? 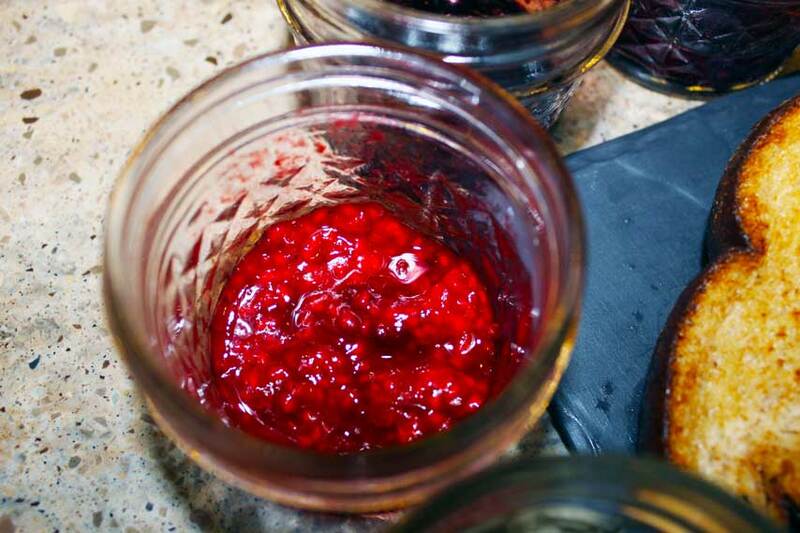 Prepare the natural coloring ingredients, one in each mason jar. I used thawed frozen berries. Mash them into the side of the jar using the back of a spoon to release the juice. You can strain out the fruit bits or leave them in for texture like I did. Usually I measure all of my ingredients, but this time I just guessed. Add fewer berries for pastel colors and more berries if you want darker colors. 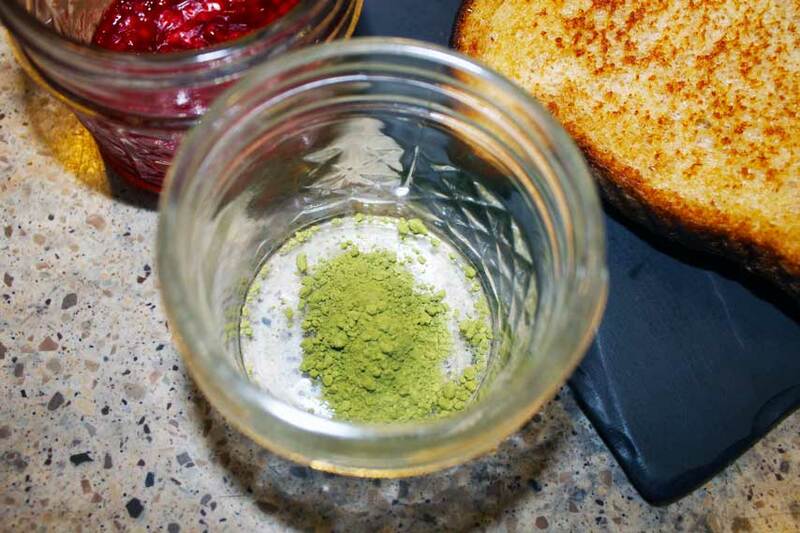 For the green color, I used a spoonful of matcha tea powder. Add 2 oz. 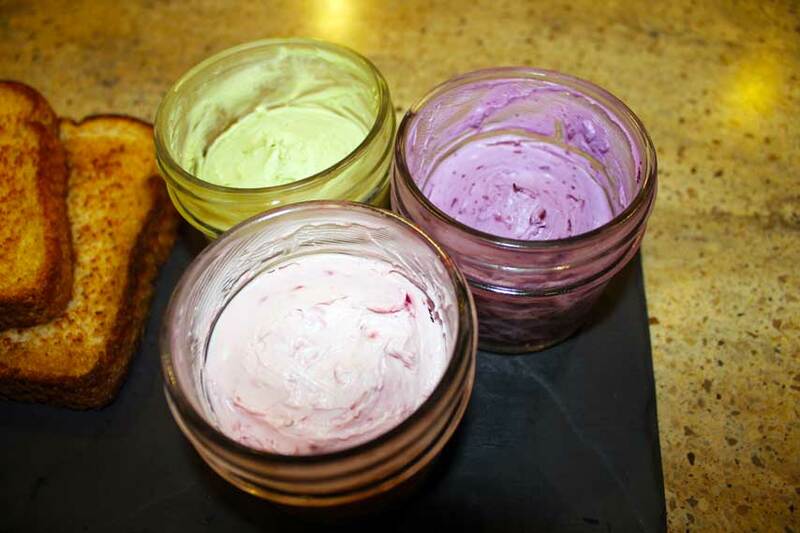 of cream cheese to each jar and use a butter knife to mix until coloring is fully incorporated. 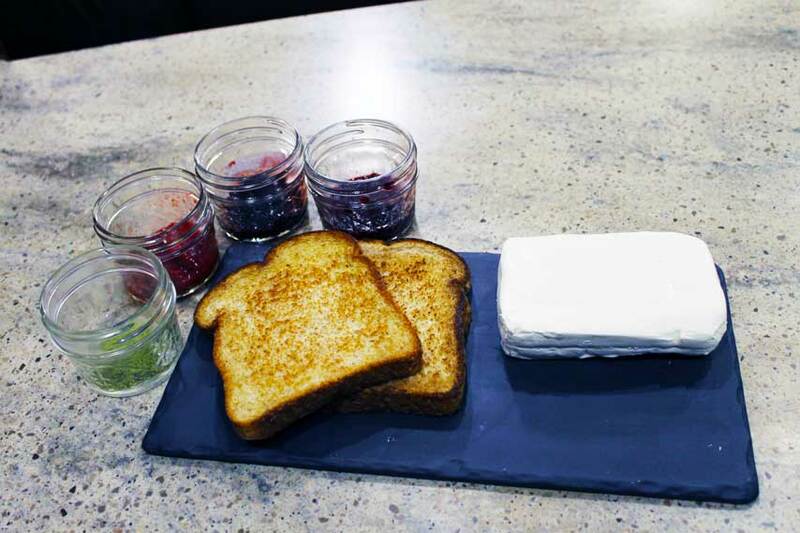 Get creative and spread the colors onto your toast. Make rainbows, flowers, swirls-whatever magical and beautiful patterns you want. 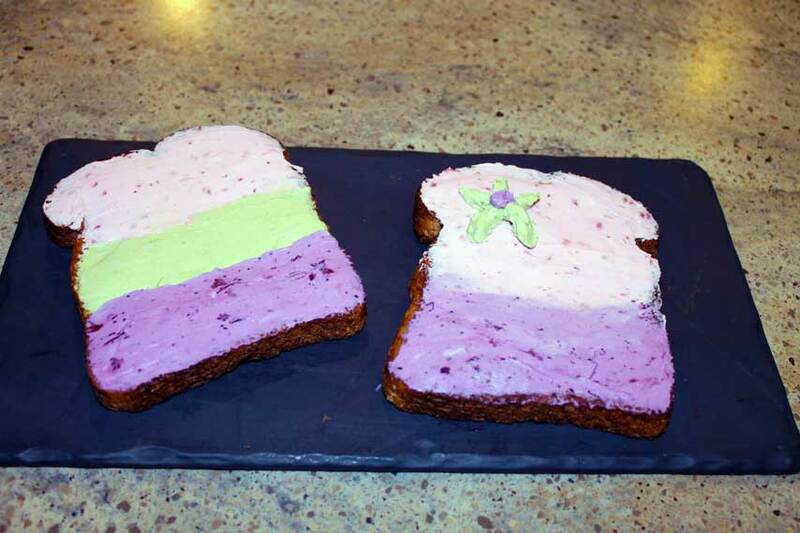 This IS unicorn toast, after all–it should be mystical and fun! Clap your hands and jump up and down a little with excitement because you just made pretty, edible deliciousness without using synthetic dyes. 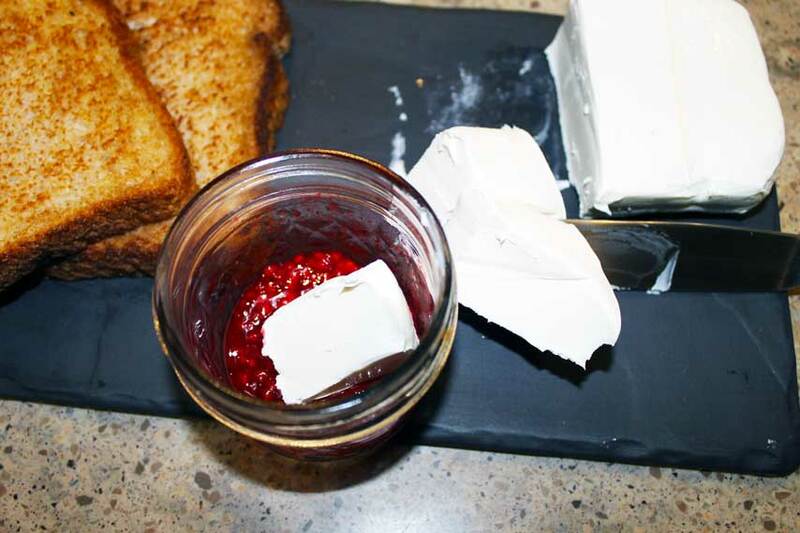 If you have extra cream cheese, just put a lid on your jars and you can store it for another day of fun. 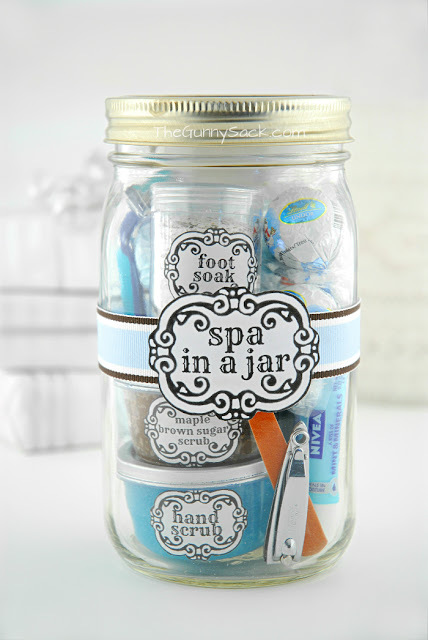 Have fun, be inspired, embrace your creativity, and remember…there’s a jar for that! 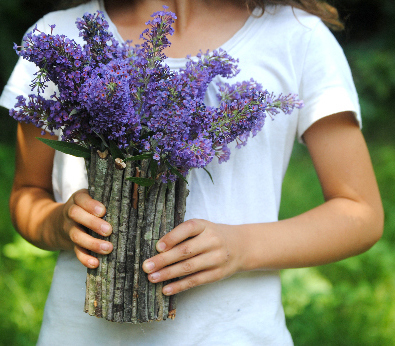 We loved all the Mother’s Day mason jar gift ideas we shared with you last month, and our mothers were crazy about the twig vases we made them. Mason jars aren’t just for moms though. 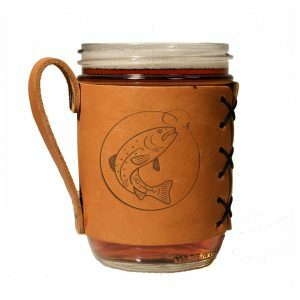 With Father’s Day in less than 2 weeks, we have rounded up 4 of our favorite mason jar gift ideas for dads. 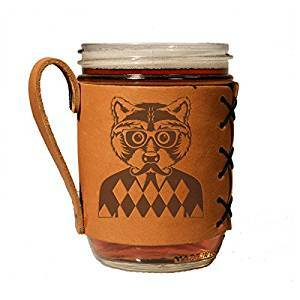 For dads who love having personal mementos of their kids in the office, and for kids who love making craft projects for their daddy’s, we love this fun hand print jar from fun-a-day. Dad can keep it on his desk to hold pens, pencils, and scissors. We have found that the 16 oz./pint jar is the best height for holding office supplies. We also recommend the smooth sided variety if you have it, so the hand print shows up best. To prep the jar for maximum paint adhesion, clean the inside with rubbing alcohol just before painting. For best results, use a special gloss enamel paint like this one from DecoArt which adheres well to glass. To reinforce the paint, you can follow the drying time by baking the jar at 275 F for 30 minutes with the door cracked open. 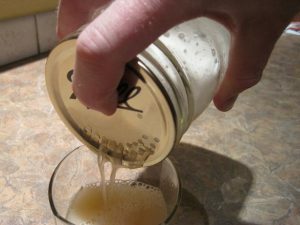 For a dad who enjoys a smooth mixed drink, you can quickly turn a mason jar into a cocktail shaker. No need to find room for an extra kitchen gadget. 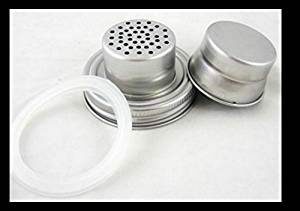 If you’re handy with a drill, you can make a DIY version, or you can simply get the specialty lid to screw onto a regular mouth jar you already have. This year, give Dad the gift of family photos for his desk with a unique twist. 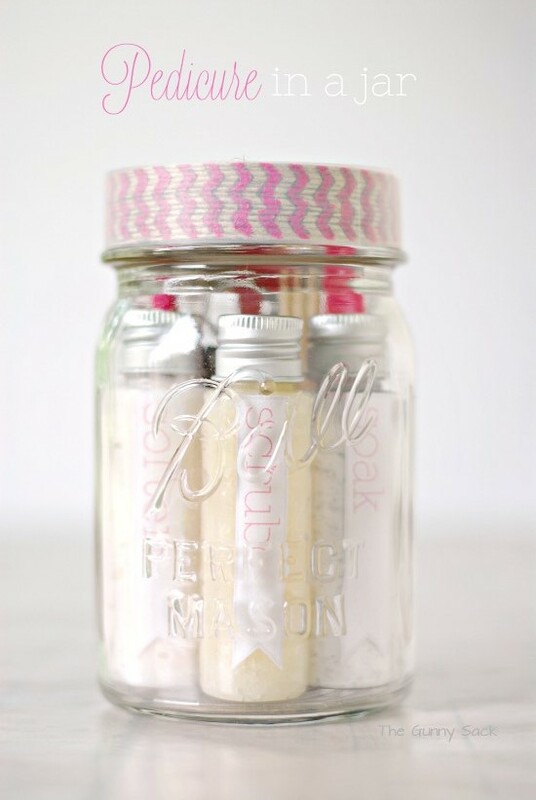 Swap out a standard photo frame for a mason jar. 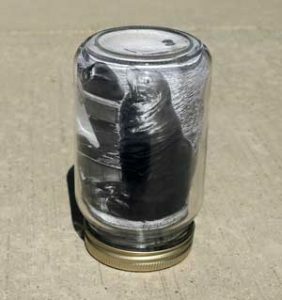 Mason jars make perfect photo frames and when you use the smooth sided style, there is room to display two photos in a single jar. Grab two 4″x6″ portrait orientation (vertical) photos and follow our simple tutorial. 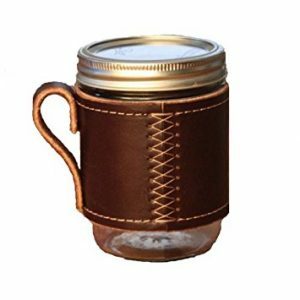 There is something inherently manly about leather, and when that manly leather is coupled with a sturdy mason jar, you have the perfect drink holder. 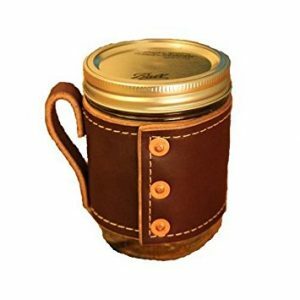 If you have access to some leather working tools and the ambition to tackle this project, you can actually make a custom leather jar sleeve yourself. We haven’t tried it for ourselves, but Josh over at A Beautiful Mess has a tutorial for it and the results are stunning. Dad will be majorly impressed. Want to get the look without the DIY? Here are 6 of our favorite purchasable finds ranging from sophisticated classy to hipster quirky. 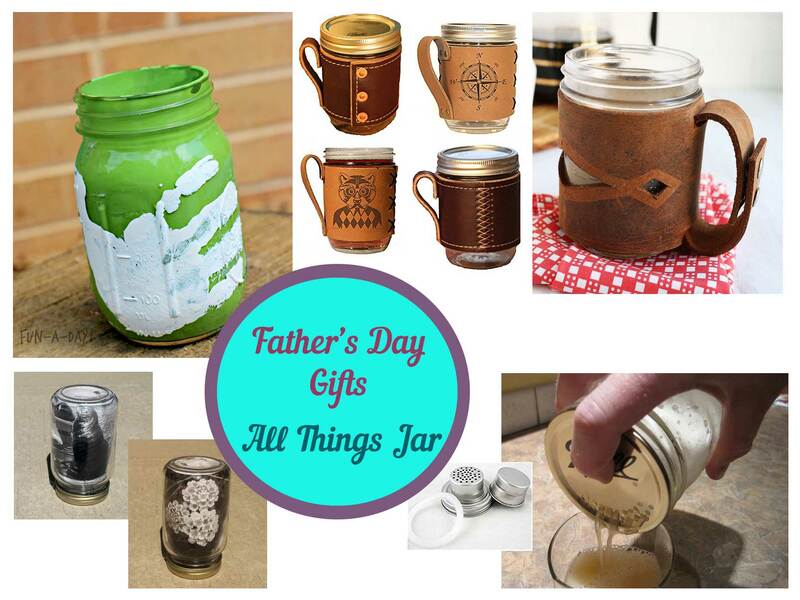 What is your favorite Father’s Day mason jar gift idea? 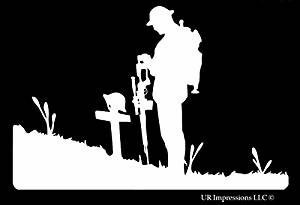 Memorial Day–a day to pay respect to those who gave the ultimate sacrifice while serving in our armed forces. Each year, this day is a poignant reminder to pause and recognize the bravery and courage it takes to sign a blank check to your country, a check which is payable “up to and including” your life. Memorials often involve the lighting of prayer candles or luminaries. 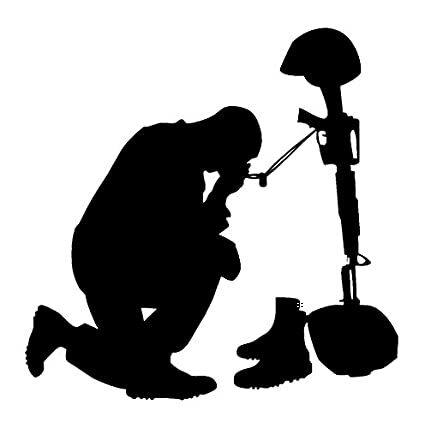 For Memorial Day, there may be a soldier you or someone you know is personally remembering or you may simply wish to have a reminder of the reason for this day present in your home. It can serve as a talking point for teaching your children the significance of the day. 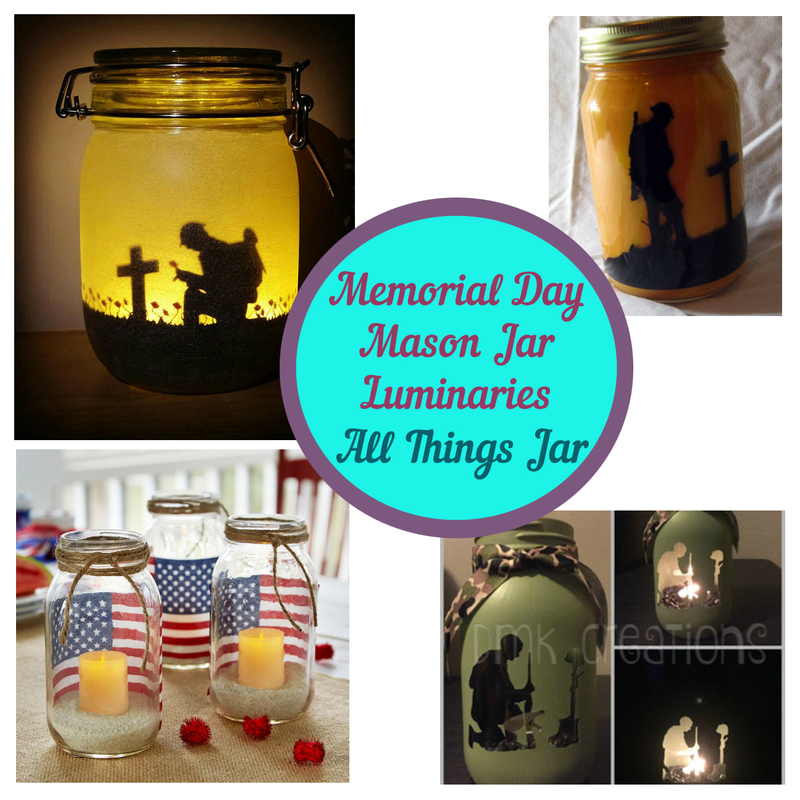 In either case, we would like to share with you four military style luminaries which you can make and display not only for Memorial Day, but throughout the year to reflect on our military and their service to us. 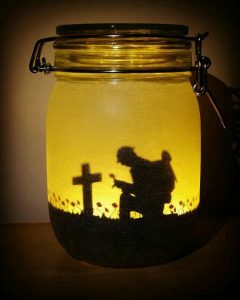 If you aren’t able to make a luminary jar right now and need to get one pre-made, the first two styles are both available on Etsy. 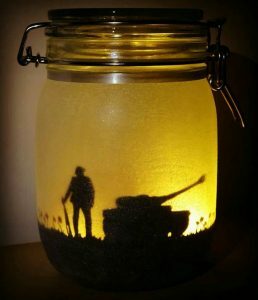 These frosted remembrance jars with their soft silhouette backlighting capture a moment in the life of a soldier. The pre-made ones from crazylittlefoxshops on Etsy depict soldiers among the red poppies of Flanders Field. 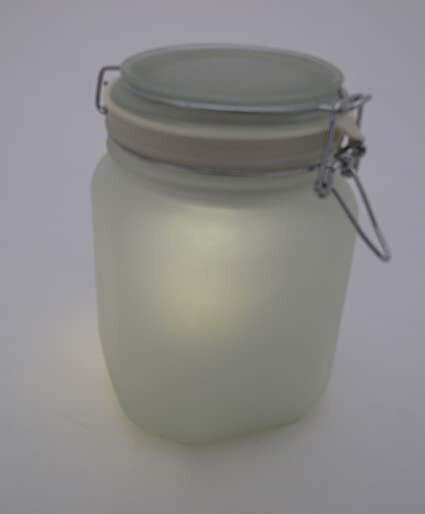 To get a similar effect yourself (without attempting the glass etching process), simply get a frosted glass jar with LED solar light already installed. 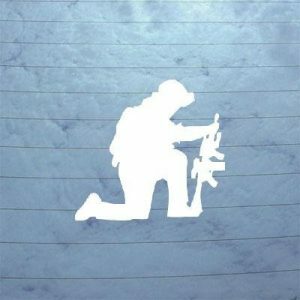 Adhere a black vinyl soldier silhouette decal like this powerful battlecross image (just be sure to request it in black rather than white). 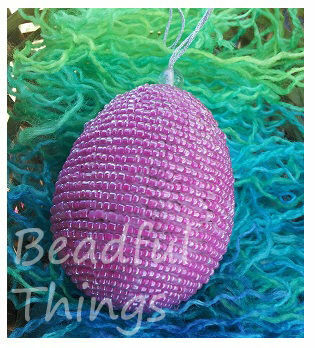 The pictured luminary is available on Etsy from BandEDreamCreations. 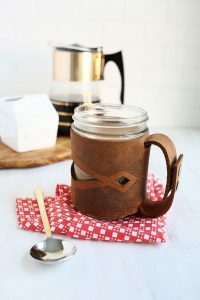 You can make a similar version yourself simply by coating the inside of a quart size mason jar with enamel paint and applying a vinyl decal to the outside. For best results, use a special gloss enamel paint like this one from DecoArt which adheres well to glass. 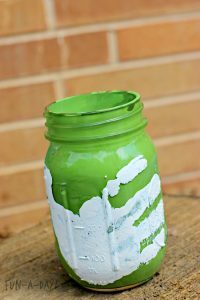 Pour some paint into the jar and carefully swirl around the inside until it is all coated. 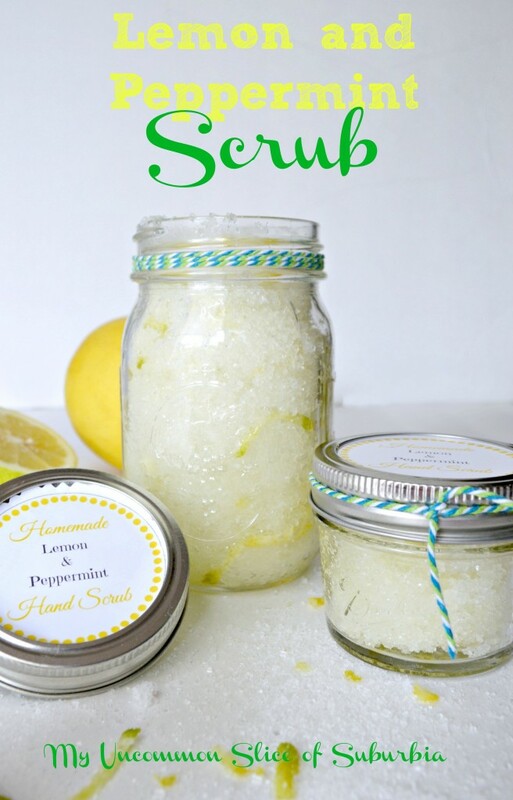 Let any residual paint drain out by placing the jar upside down on a wax paper covered surface. For extra stain protection, use cardboard under the wax paper. Move the jar to a clean portion of the paper every 15-30 minutes and let it keep drying upside down for about 2 hours. To reinforce the paint, you can follow the 2 hours of drying by baking the jar at 275 F for 30 minutes with the door cracked open. Once the jar is dry and cooled, wipe the outside with rubbing alcohol, let it dry, and adhere your vinyl decal. Add an LED tealight candle to illuminate. 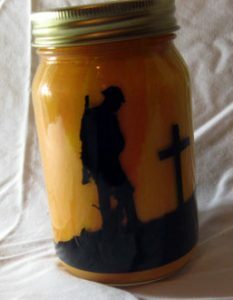 This version of the fallen soldier jar is an inverse of the previous style. While the other version will have a very muted glow, this one will light up the room with a visible candle. 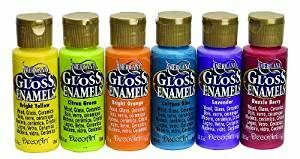 To create, first clean the outside of the jar with rubbing alcohol and adhere your vinyl decal. 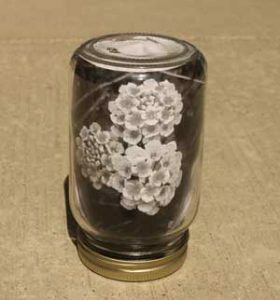 Use the same special gloss enamel paint as with the other painted luminary, but this time, you will paint the outside of the jar rather than the inside. As before, let dry for 2 hours. Carefully peel the decal back off. To reinforce the paint, you can bake the jar at 275 F for 30 minutes with the door cracked open. Place a candle inside the jar to illuminate. 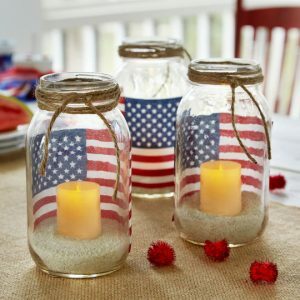 The pictured American flag mason jars are an idea from Michaels. If you have a personal soldier whose memory you wish to honor this Memorial Day, follow the Michaels tutorial, but replace the flag with a 4″ x 6″ photo of your soldier. 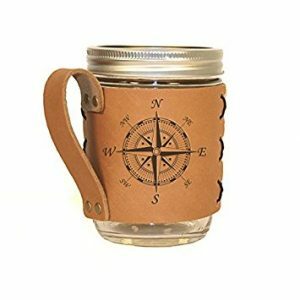 To help the photo show up more clearly, use a smooth sided mason jar and place the photo on the inside rather than the outside of the jar. Make sure to use LED tealight candles rather than real ones to avoid a fire hazard. 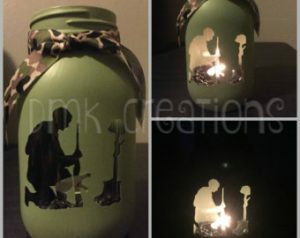 Add small personal effects inside the jar to complete your memorial. 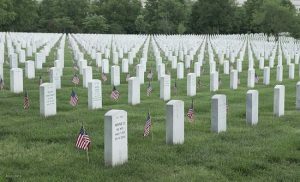 This Memorial Day, while we may enjoy our patriotically decorated homes and a day to spend with family let’s all also remember what this day is really for. Let us honor the incredible sacrifices of those who “gave all” and their families who gave them. Freedom isn’t free, but we can be as long as we as a people are willing to fight and pay for that freedom. With only one week left until Mother’s Day, are you still looking for gift inspiration? What do your favorite, most memorable Mother’s Day gifts have in common? Were they homemade and meaningful? Made with lots of love from supplies the kids found around the house? Mother’s Day gifts don’t have to be store bought and expensive. 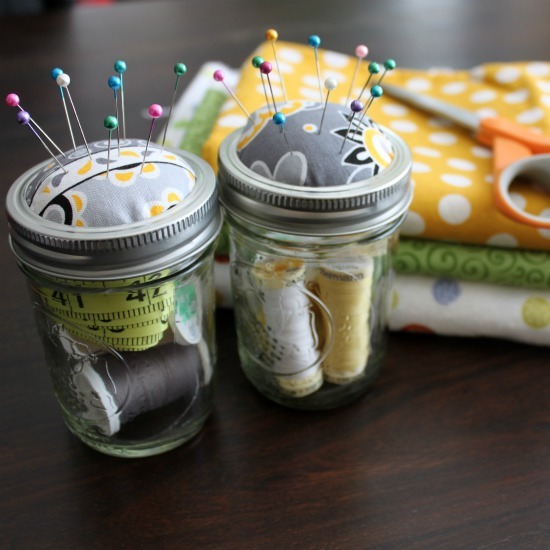 Imagine creating a DIY gift that is personal and will be used and enjoyed by the special mom in your life. 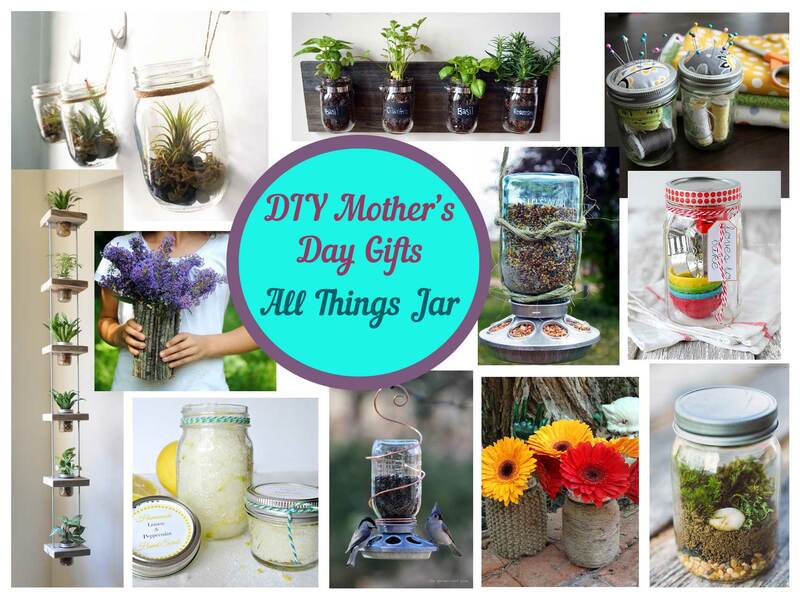 Here you go: our top 13 DIY Mother’s Day Mason Jar Gifts. Fresh herbs add a delicious pop of flavor to many of our favorite dishes. Who doesn’t love a sprig of rosemary with their lemon salmon, some freshly chopped cilantro in homemade guacamole, or a basil leaf with mozzarella cheese and tomato? 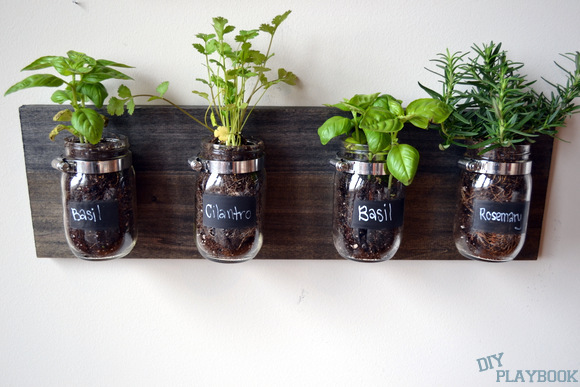 This wall mounted herb garden is perfect for a mom who enjoys cooking and having live herbs around, but who doesn’t want all those pots taking up space on the counter. Who says the only way to hang plants is in a beaded macrame hanger? A multi-plant vertical hanger system looks amazing in modern homes with tall ceilings. Adjust the height and number of plants to fit in the space you have. You can leave the wood raw or stain/paint to accent the room it will be hanging in. If the walls are neutral colors, try painting the wood a bright pop of color. For a nature lover, being trapped in a sterile office all day can be torture. 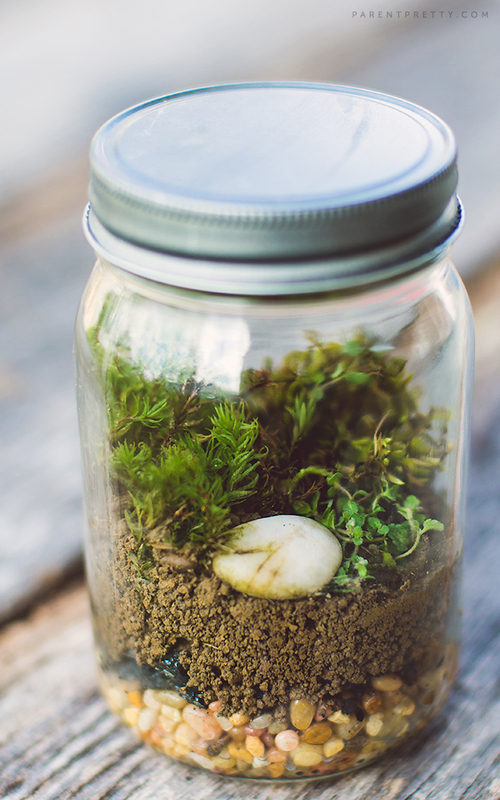 Give her a little piece of the outdoors with a terrarium that can sit on her desk. Bonus: the kids can help you collect the items for the terrarium and they get to learn about how the ecosystem works. What do you give the person who loves having real plants in her house, but has the blackest of thumbs? 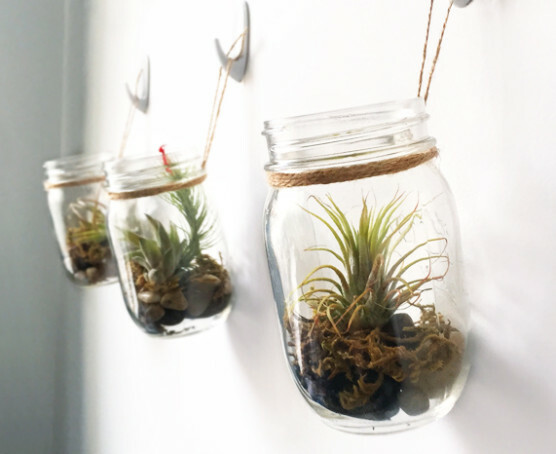 Air plants are some of the most low-maintenance options around. 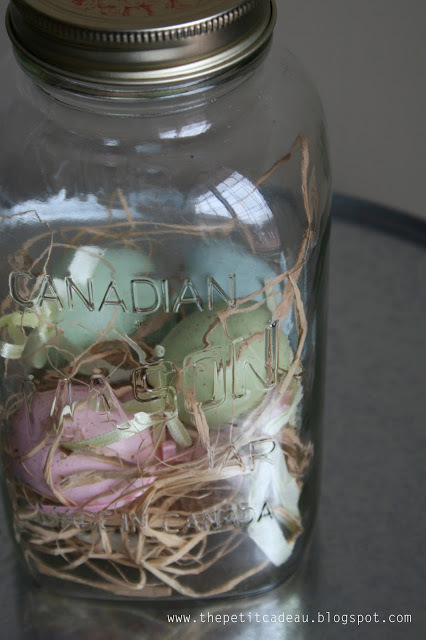 They look very modern in jars with a simple twine accent. Try hanging them from unique nails or pegs that match the room’s decor. 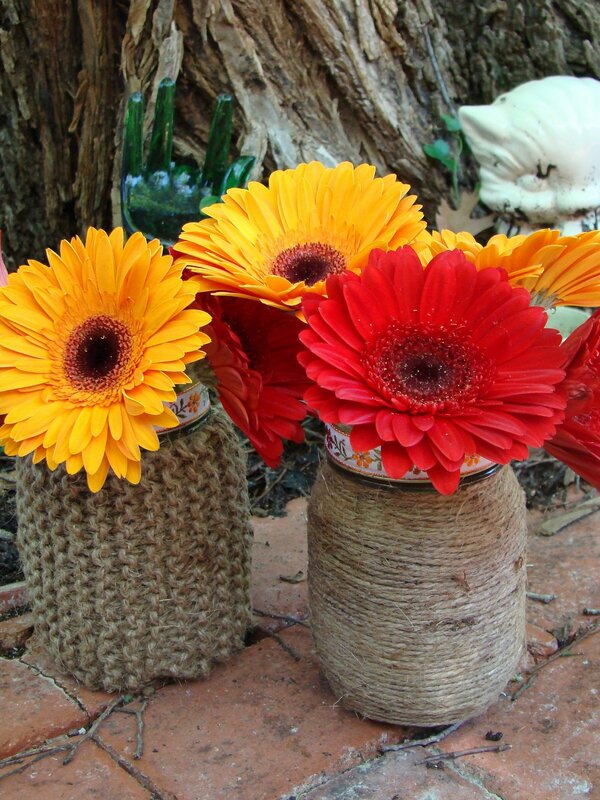 For a traditional gift with a special twist, go ahead and give Mom those flowers…in a mason jar that you covered in twine to craft a rustic vase. 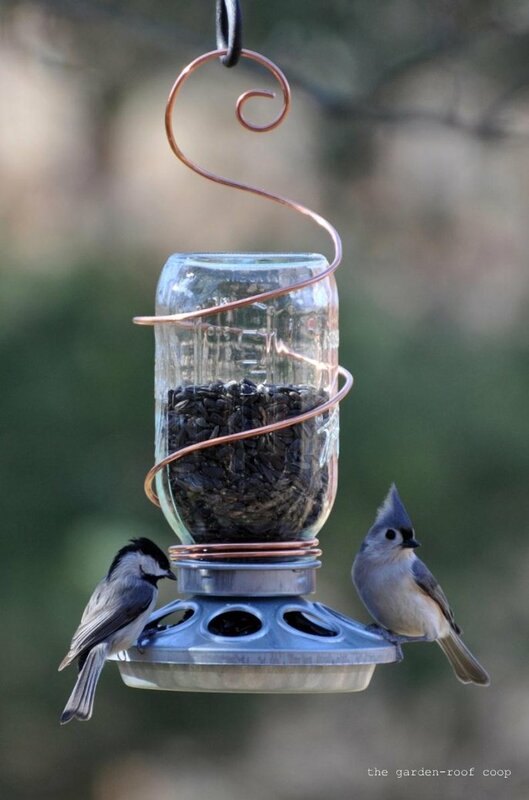 Imagine combining a nature walk with the kids and creating a memorable Mother’s Day gift. 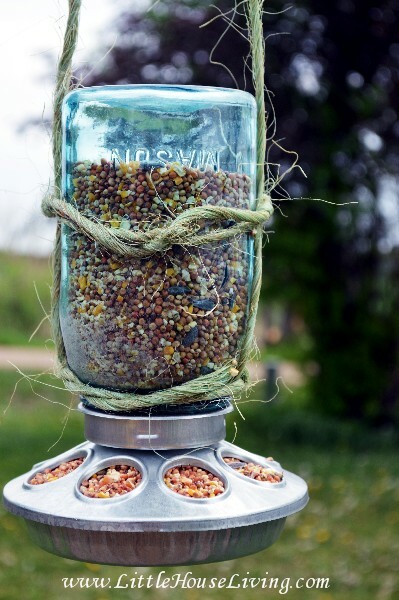 This ingenious vase is made of a mason jar surrounded by twigs and the finished product is stunning. Plus the kids will have fun going for a walk and gathering all the twigs. We used the above tutorial and found that our quart size jar took about 26 twigs plus the smaller filler pieces. To make it easier for the kids to participate, try breaking off pieces of dead limbs on the ground rather than cutting from the tree. 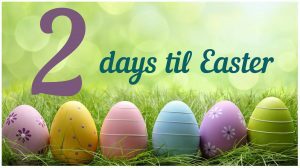 Easter is almost here, and if you suddenly realized that you need to magically produce Easter baskets and grass in a mere 2 days, this post is for you! 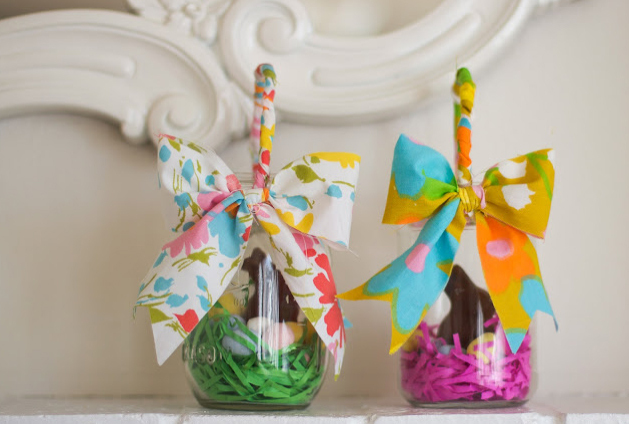 We sifted through the sea of internet inspiration to bring you these – 8 great last minute DIY Easter basket and grass ideas. The best part is that all of them can be made using items you probably already have! 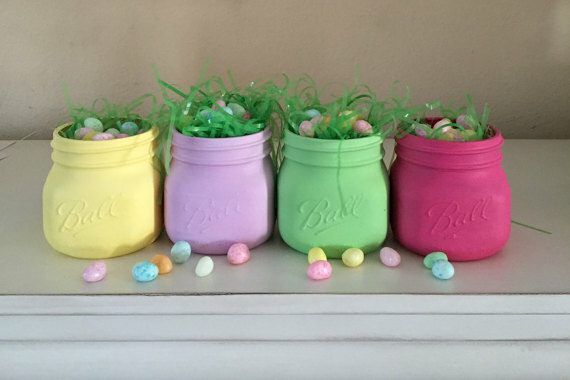 Hand painted mason jars can be simple as solids like these lovely pastels from DarlinsCraftyDesigns on Etsy. 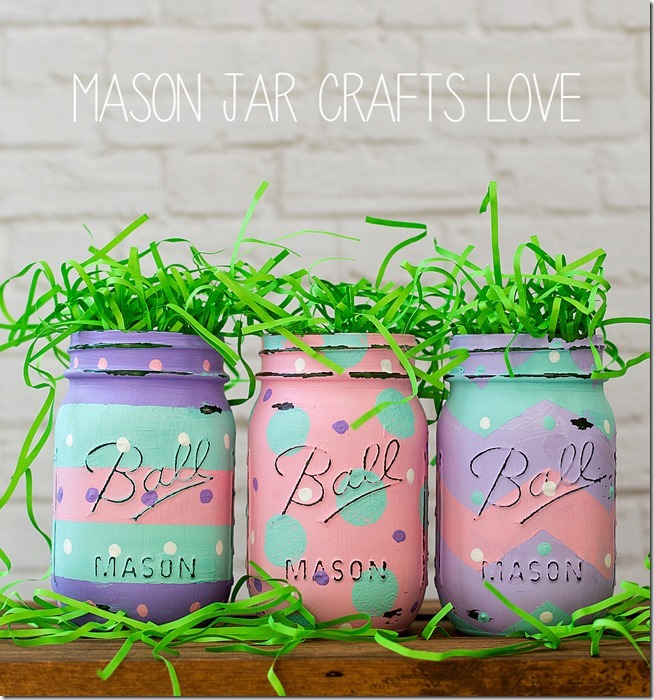 If you have a bit more time, try some colorful egg-inspired prints like these on Mason Jar Crafts Love. Are you a sewer with extra colorful fabric scraps hanging around? Rebekah Gough has a beautiful basket tutorial and all you need are jars, pipe cleaners, pretty fabric strips, glue, and scissors. Want to make baskets that your kids love and that you don’t need to box up and store until next year? 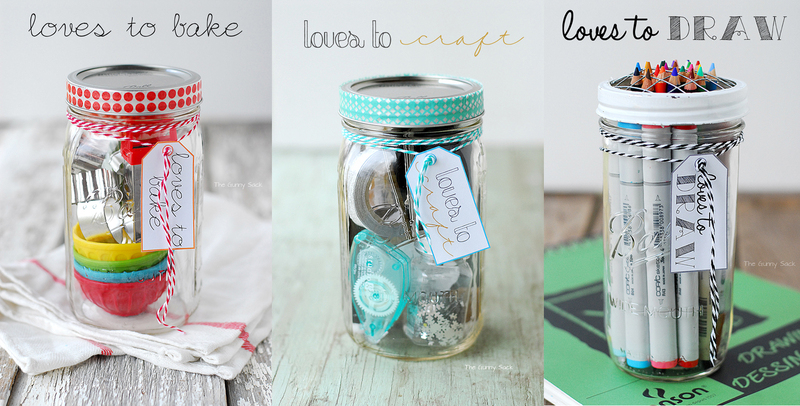 Jillian at Catch My Party has a fun tutorial for edible jar decorations. Plus it gives you an excuse to break into the candy stash early! Natural fibers like raffia and twine are elegant and classic. This look from The Petit Cadeau can work in an Easter basket and double as a centerpiece for brunch when paired with lovely pastel eggs. Have extra bits of yarn leftover from your knitting projects and no idea what to do with them? 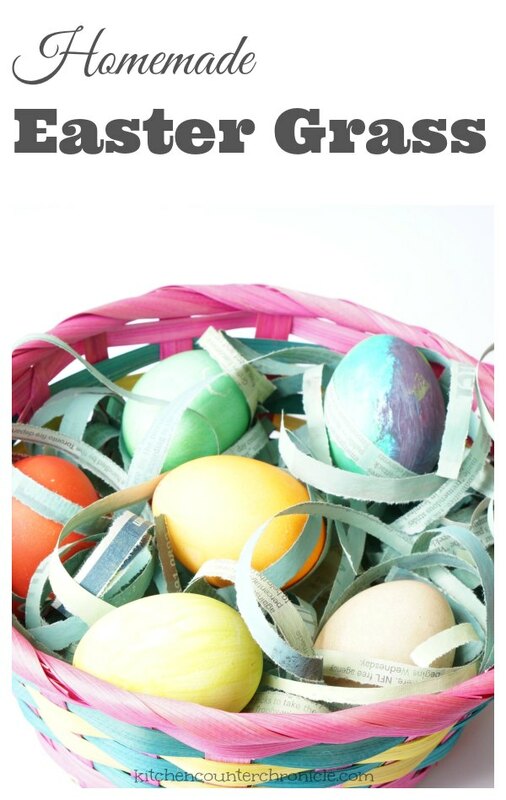 Did you know you can unravel them and use them for Easter grass? Check out this instructables.com feature for ideas. All that extra colorful tissue paper you have in the drawer with the wrapping paper? 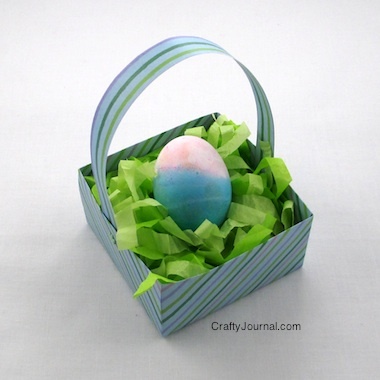 Noreen over at Crafty Journal has a quick guide that walks you through turning it into grass for this year’s Easter baskets. Instead of plastic grass, go eco-friendly by reusing old newspapers and coloring them with your favorite shade of acrylic paint. Jen at Kitchen Counter Chronicles shows you how. Do your kids have a bunch of construction paper or do you have extra scrapbook paper you’re not using? 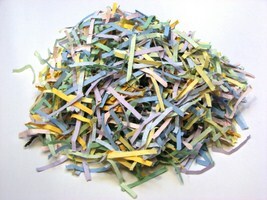 Have a shredding party and make yourself some Easter grass! Here’s some inspiration from doityourselfgifts.com. 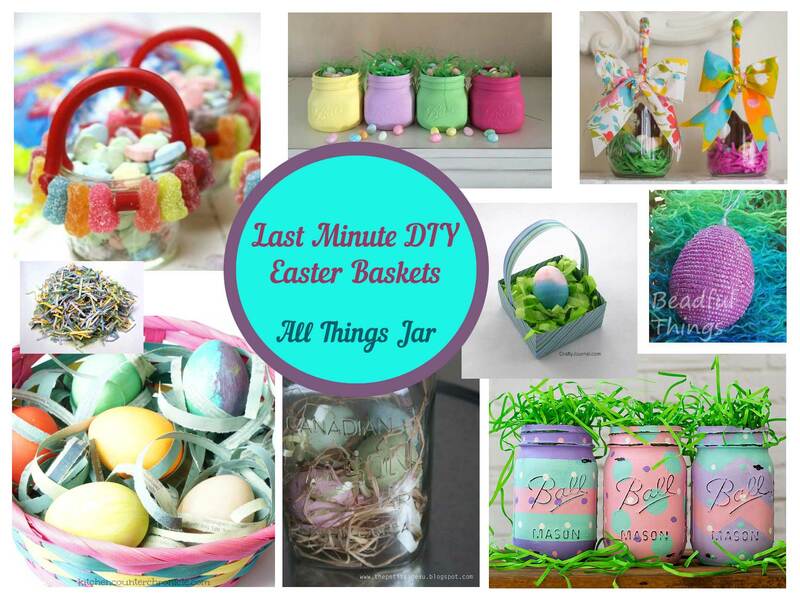 Share your last minute Easter basket creations with us and check back soon for some fun Mother’s Day gift ideas! All Things Jar is a participant in the Amazon Services LLC Associates Program, an affiliate advertising program designed to provide a means for sites to earn advertising fees by advertising and linking to Amazon.com.